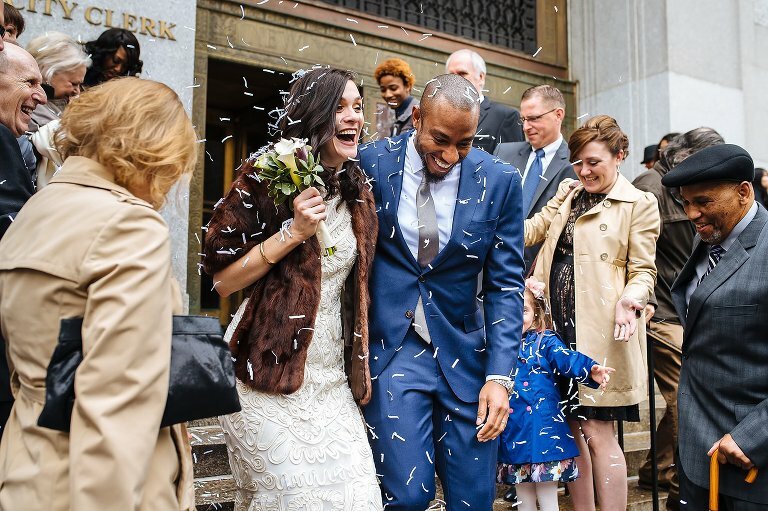 Simply put, I love being a City Hall wedding photographer in New York. It’s always exciting to walk out of my house, hop on the subway, and then emerge in Manhattan to start telling my couple’s wedding day story. 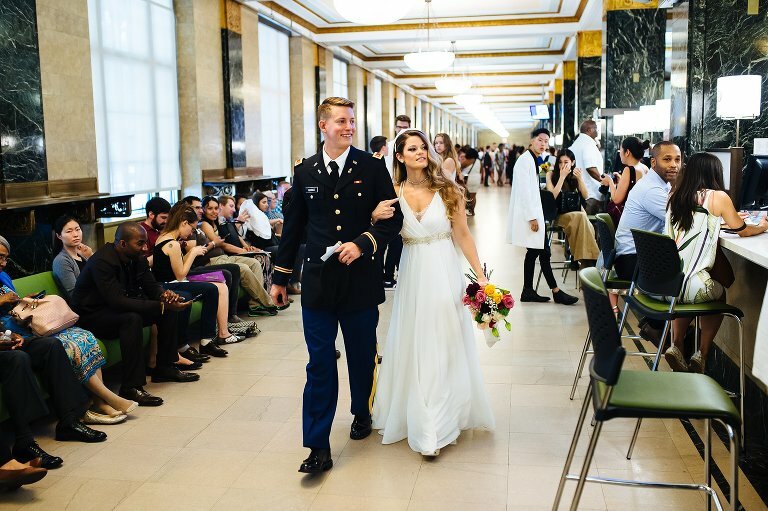 And while getting married at City Hall might seem like the most simple of weddings, it still comes with all of the excitement of any other wedding day. 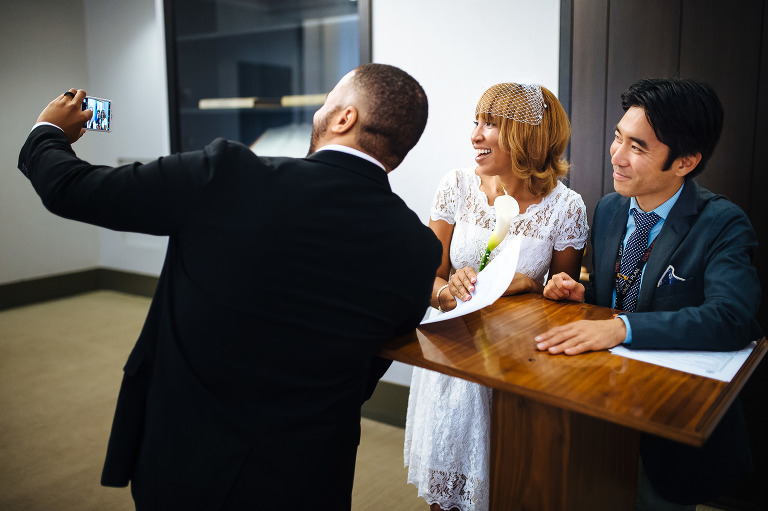 Ruth & Ricky had an amazing elopement by embracing just that. As a recent graduate of West Point, Ricky was looking dapper in his Army blues while Ruth looked amazing in her flowing backless dress. 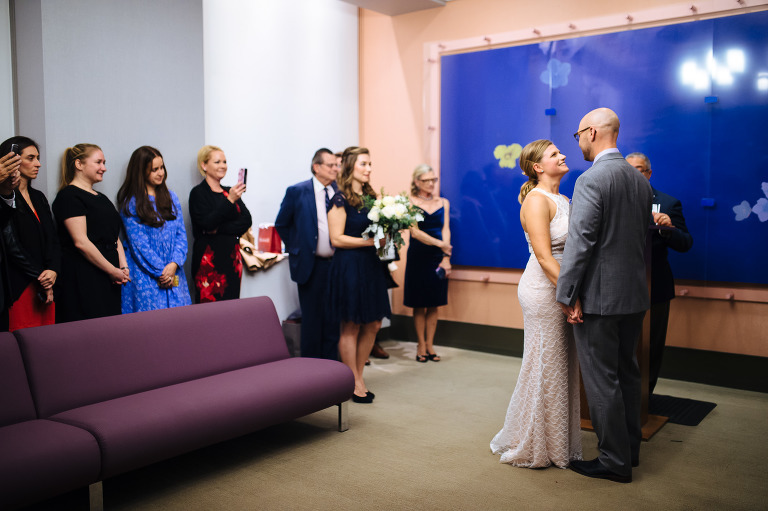 Our day started in the gorgeous entryway of The Marmara Park Avenue in Midtown, and after a short Uber ride down to the City Clerk’s Office on Worth St we were in line to get married! It’s always great to sink back into the crowd at City Hall and document my couple waiting to be called up. Especially when it’s just the two of them waiting with each other, there’s a great sense of anticipation that builds up as the number being called gets closer and closer to theirs. It was all smiles out the door as we hopped across the way to get some portraits amongst the classic architecture of the Civic Center area of downtown Manhattan. For the shortest of wedding days, this is a great area to explore as it has some really great spots within a short walking distance of the City Clerk’s Office. Ruth & Ricky, thank you so much for having me along for such a beautiful and intimate wedding day. Are you planning a wedding at New York’s City Hall? I’d love to document your wedding day!